Castle Vardulon: Merry Christmas, everyone! If necessary, all images can be bigified through clickery. 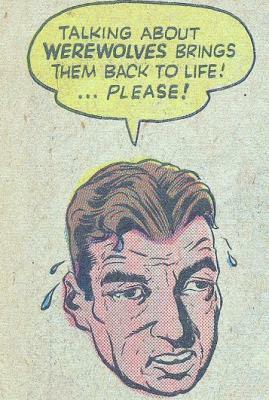 You know what's super-comforting? 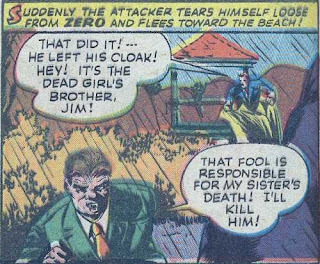 That there are a host of other ghost detectives out there equal in skill to Zero. After all, were he 'peerless' among ghost detectives, then if something bad were to happen to him, it could be disastrous for the whole world! 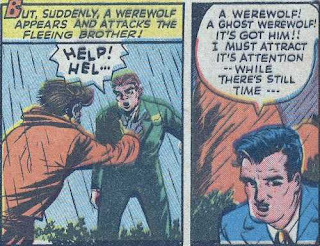 Since he's just on par with all the other Ghost Detectives, however, there's plenty of backup available were things to take a left turn. So, as the story begins, Zero is out in a country manor, enjoying a dinner with friends, as Ghost Detectives are wont to do. 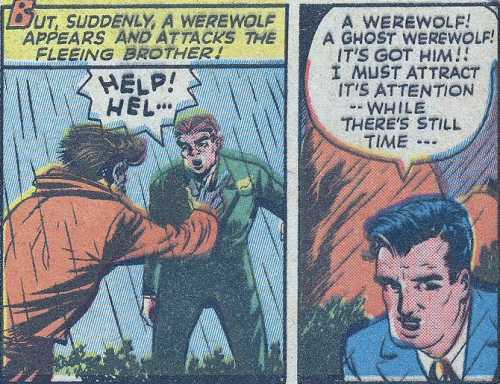 They implore him to tell a story about one of his adventures, and he naturally selects one about a werewolf. This winds up being a controversial choice, as another guest strenuously objects to the topic. Why? Okay, that caption was just needlessly convoluted. 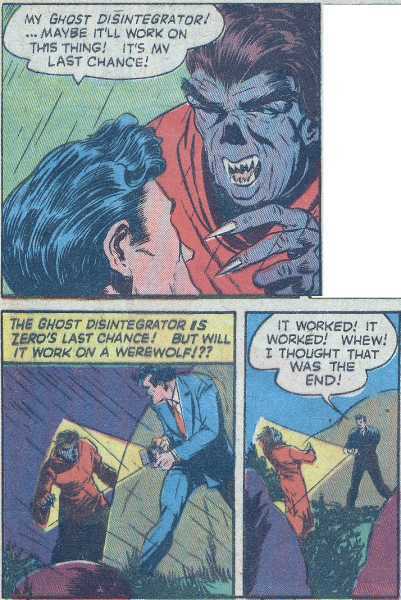 Also, doesn't it seem like Zero, the Ghost Detective, ought to know about this whole werewolf resurrection lore? Isn't that his entire bag? One last thing - why is the werewolf wearing a red dress? 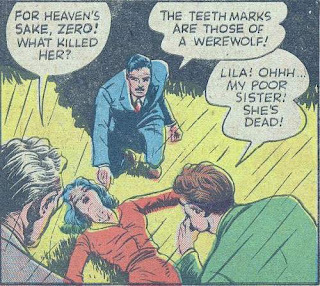 Because this information will be important later, I'll point out that Lila's brother is the hysterical man who was worried about werewolf ghosts. Now that the werewolf has been established as a threat, Zero tells everyone to head back inside while he deals with the situation. Now there's an excellent question: What IS a werewolf doing around here? 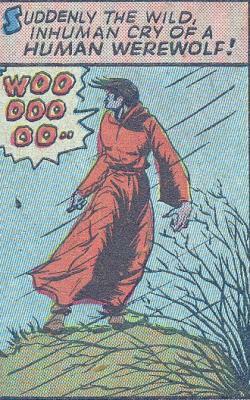 Also, how can you argue with that villain's fashion choice? Yellow cape on green suit? Bravo! Also, for you colour-blind readers out there, just FYI, this is meant to be a different character than the guy in the red gown who was howling on the hill earlier. 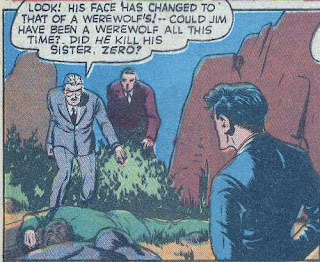 With the werewolf ghost dead (again), now there's one final plot twist to reveal - when Zero and the other partygoers find Jim's body, they're shocked to discover that he's turned into a werewolf! 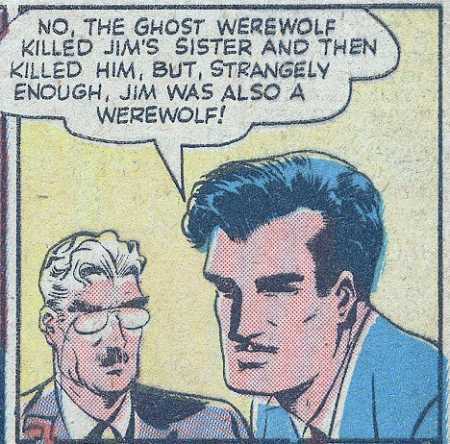 "Turns out he was a werewolf too. Huh." If every story ended this way, there would be no war in the world.